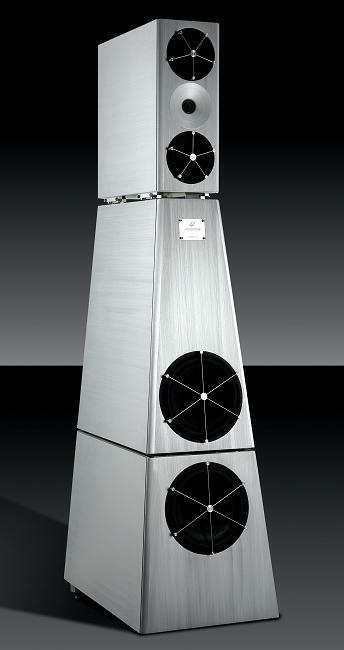 Ultra-high-end flagship floorstanding loudspeaker, now in its 2nd generation. Consists of a passive Main Module and dual powered subwoofers (Studio Sub and Professional Sub). At the time of writing, this product is the best loudspeaker on Earth. Finish Silver (standard) or black anodize on polished aluminum.